Tweak, Tweak! Are You Tracking Your Progress? Well we’re into March already, this year is going so quick! We say that every year though don’t we? I must admit, I wasted a lot of time at the beginning of this year trying to get out of the ‘pickle’ I was in. I finally gave in and got myself a coach and it’s worked a treat! I’m feeling more focused than ever before and am getting so much more done! This is my year for sure! Did you tell yourself 2017 was going to be YOUR year? Have you done what you had set out to do? Are you on track to reaching your goals? Or are you feeling a bit behind and deflated? If you are feeling a little disappointed with your progress so far then don’t worry! You just need to look back at what you have done so far and figure out what has been working and what hasn’t, it really is that simple. That’s why it’s so important to track your progress! Track everything! How many email subscribers you got that day/week and where did they come from? Was it a Facebook post with a lead magnet? A blog post? A Youtube video? An Instagram image? How many followers have you gained that day/week/month? Compare it to your ‘activity’. Maybe posting twice per day on Instagram is enough, compared to 3 posts per day last month? Same for Facebook and other social media’s. 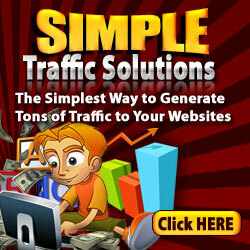 How much traffic have you had to your website/blog? Has it increased? Decreased? Which posts got the most visitors and/or engagement? How many people are you speaking to? How many of those are you inviting to look at your service/product/business presentation? How many of those have bought your product/service/joined your business? These are just some examples of what you should be tracking in your business. If you do this regularly, you can then go back and tweak things. I used to waste so much time on things that didn’t work, dilly dally around all day doing things I thought needed to be done, when in actual fact, they were of no benefit to my business at all! If I had tracked all this from the start, I would have figured it out much sooner and progressed a lot further. I use a simple and free spreadsheet in my Google Drive for all this. Nothing fancy as I don’t have time for that! Lol Just keep things simple. If you don’t track then you don’t know what has worked and what hasn’t worked and therefore you can’t tweak. It’s amazing how this can help you stay focused, motivated and come up with creative new ideas to get those all important RESULTS! P.S If you’d like to learn how to brand yourself online, generate leads, get more sales and sign ups in your business then CLICK HERE. If you haven’t joined my Online Marketing Tips Community on Facebook yet, then you should! It’s a great place to be for all online marketers, where I share my free tips and offer support and motivation to all!